The EGAA is delighted to welcome Anna Lockwood as the newest member of the EGAA Board. Anna is an experienced media industry executive specialising in sports and broadcast consulting. She is currently the Head of Market Development at Telstra Broadcast Services. Anna has had previous global leadership roles in London, Singapore and Boston, and now works at the convergence of the traditional broadcast industry, leading edge telecommunications and digital platforms. Over the last few years Anna has had the opportunity to work closely with the games and esports communities as a broadcast and technology services provider, and has been an active member of the growing local esports community. She has championed a diverse and inclusive esports industry and believes we have both an obligation and an opportunity to make the EGAA a world leading organisation that supports and promotes diversity and inclusion in all aspects of games and esports. 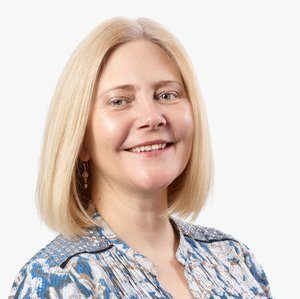 Anna is also on the Board of SMPTE (Society of Motion Picture and Television Engineers) Australia Section, represents Telstra as a Director on the IABM (International Association of Broadcast Manufacturers) Board, and is a member of SVG (Sports Video Group). She brings her interests in innovation, sports, and women in technology to the board, as well as industry engagement. We look forward to having Anna contribute to the growth and management of the EGAA in this exciting time for games and esports in Australia.